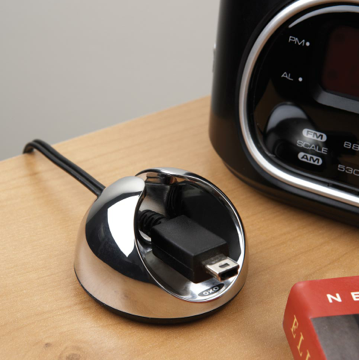 You know all those cords you have on your desk, that aren't in use at the minute? The ones that tend to slip onto the floor? 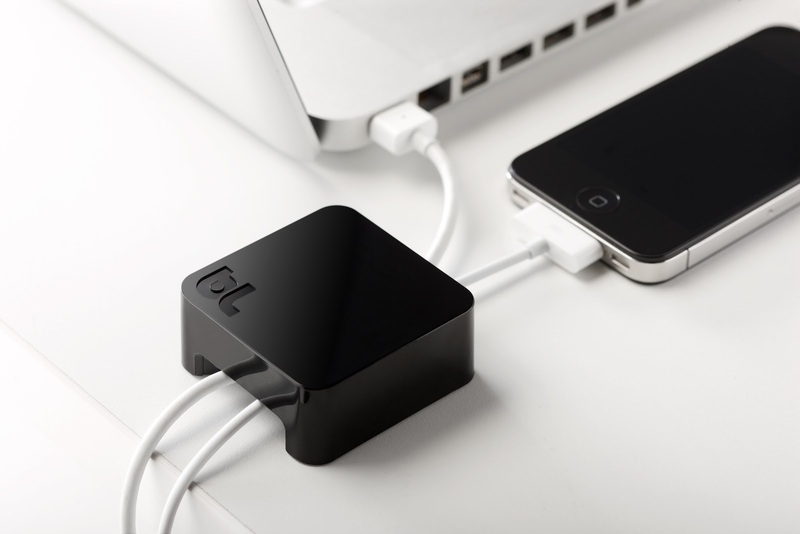 Here are some of the products that can help make sure those cords are always at hand when you need them. 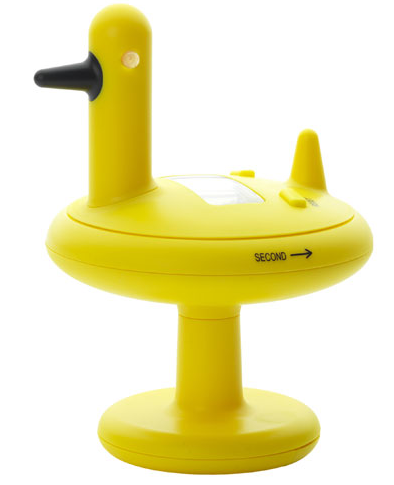 The one above is the Cord Catcher, from Dotz. It comes in black, red and white. Oxo has the Cord Catch. And BlueLounge has the Sumo. And for a totally gorgeous product, there's OneLessDrop, from Heckler Design — "the elegant power cord anchor." It's a solid block of recycled aluminum. 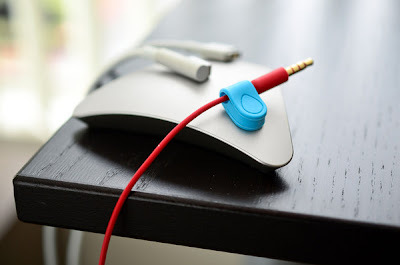 The OneLessDrop comes in red and silver. Update on Sept. 10, 2103: The Heckler Design website says: "The OneLessDrop has been discontinued but keep your eyes open for a new iteration in the future." Storage units are often a waste of money — but under certain circumstances, they can also be a worthwhile investment. 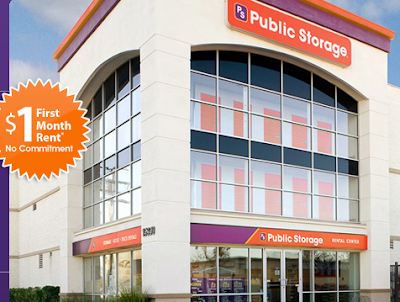 I've recently read four articles about self-storage, and thought I'd share them with you. When we sold our last house, we rented a small, off-site, storage space for three months. We put all of our personal items into it — family photos, kid's artwork, etc. — so potential buyers could "see" themselves in the space. We also swapped out a few chandeliers and window coverings that we had purchased and wanted to take with us instead of leaving in the house (we bought new ones and installed them before anyone came through the house). Finally, we put into storage a few things that just didn't make the home look like a magazine — a chair that made a room look too crowded, our bikes and golf bags from the basement storage to make the room look bigger, etc. Once the house was sold, we moved all the stuff into our new home and closed up the off-site storage space. For a temporary purpose, I think storage lockers can be a good idea. Our house sold in 10 days and we got the asking price, so the couple hundred we spent on the storage space was well worth it in our minds. Here's another, very different story of storage unit use, from Julia Ann Miller writing in The New York Times, and found via Margaret Sullivan, the paper's public editor. This is just the beginning of the article; if you're interested, go read the whole thing. In this case, the need seems to be emotional rather than purely logical — and that can be OK, too. I pay $189 a month ($2,268 a year) for my Single Girl’s Starter Kit. My Single Girl’s Starter Kit is a storage facility I keep in Brooklyn. I recently moved in with my boyfriend of seven years. Giving up my low-rent apartment in Park Slope is as serious a commitment as I’ve ever made to any human being. In my starter kit, I have: one single girl’s bed, one set of flannel sheets, one pillow, my grandmother’s afghan, one each of various kitchen utensils, one tool kit, one ladder and one box of love letters from past admirers. Everything I’ll need in case my boyfriend and I ever break up. My Single Girl’s Starter Kit is the opposite of a hope chest. It’s important to consider that there are many unfortunate circumstances which can easily lead to unpaid bills, and therefore, cause your items to be sold without your knowledge. If you become severely ill, for instance, you might not be able to get your stuff out before it’s too late. If you pass away, your loved ones may not even find out about the locker before the items are sold. Note: If you do have a storage unit, make sure you note that that when you pull together your estate-related information for the person with your financial power of attorney, and for your executor. Occasionally I joke on Twitter about my plan to buy an old, beat-up Chevy Astro Van, park it on the street near my house, and use it exclusively as storage space. It sounds ridiculous, but it's actually an interesting thought experiment. Most of us store our silverware in a kitchen drawer, using some sort of divider to separate knives, forks and spoons. But what do you do when you don't have a drawer? 1. Use a flatware chest. 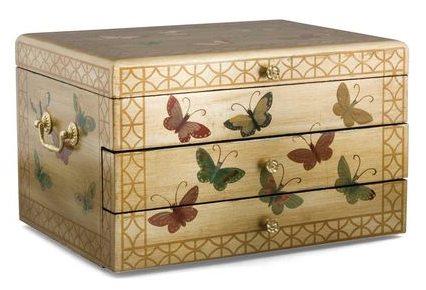 There are all sorts of basic flatware chests, in colors like walnut and black, but of course my eye goes to the more unusual ones, like the gold butterfly flatware chest from Mikasa. Mikasa's birds flatware chest is also pretty wonderful. 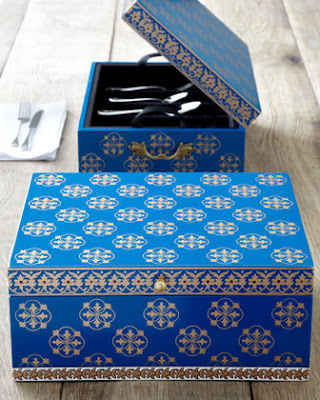 I'm also totally taken by this blue and gold flatware chest, which fellow organizer John Trosko pointed me to. 2. 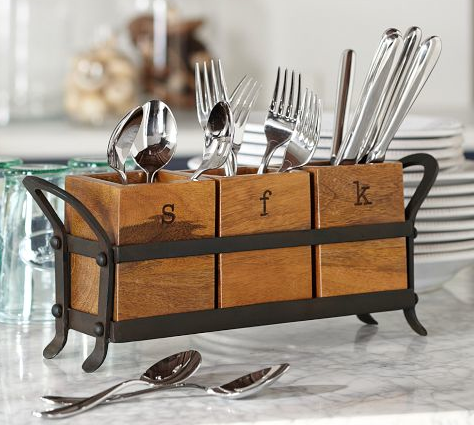 Use a flatware caddy. You've got lots of choices here; the caddy above comes from Pottery Barn. Many were intended for buffets or picnics, but there's no reason they can't be used for more permanent storage. 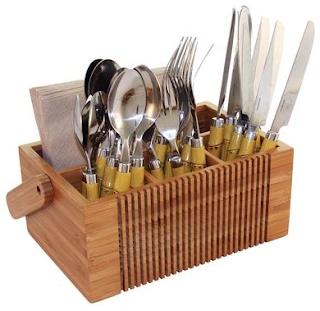 And of course, anything with the right shape could be used, not just something specifically designed to be a flatware caddy. But let's look at a few more caddies, anyway. This one comes from Totally Bamboo. And here's the flatware caddy from Towle Silversmiths. It's sold a number of places; this photo comes from Solutions. 3. 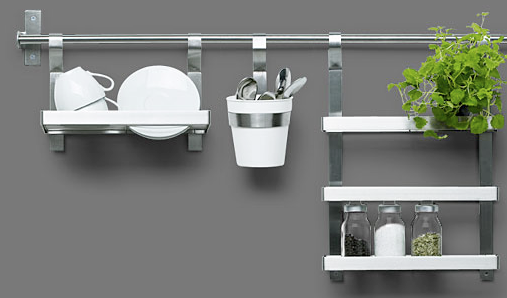 Use a kitchen rail system. For example, the Ikea Grundtal rail system I wrote about before has a cutlery caddy as one of its options. 4. 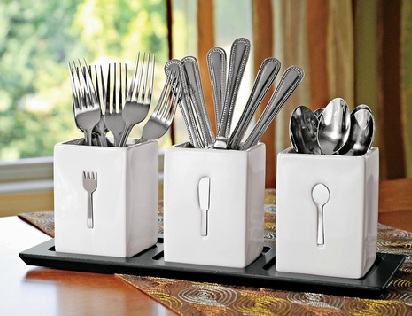 Use flatware that comes with its own rack. There are a few sets like this, but the one that caught my eye is this one, from Cambridge SilverSmiths. This won't work if you already have flatware you like — but for some people, it might be the ideal solution. 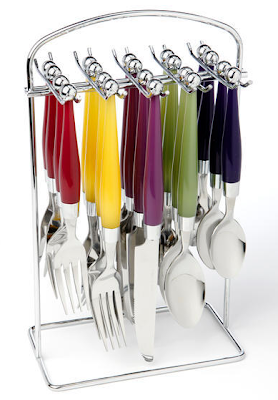 If you don't like the colored handles, here's another hanging flatware set. If you want to save money and/or space, it can make sense to borrow or rent infrequently used, expensive or space-hogging items, rather than owning them. And while Neighborrow found that many people seemed to prefer the convenience of owning, there are certainly other people who will deal with a bit of inconvenience just fine. Although the Neighborrow website had its challenges, plenty of borrowing from neighbors, friends and family still goes on. And other sites are still trying to do something similar to what Neighborrow was doing: matching up people who have things with people who want to rent or borrow them. There's SnapGoods, which I heard about from Peter Shankman; the images above come from the SnapGoods website. 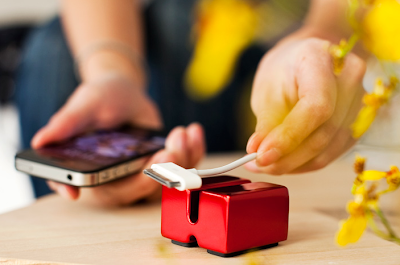 NeighborGoods is one I heard about from Unclutterer and Lifehacker. Share Some Sugar is a site I read about on Springwise. And The New York Times pointed me to iRent2u. In Australia, there's Open Shed, which I heard about from Lissanne Oliver. And in New Zealand, there's Hire Things, another find from The New York Times. There are some very interesting specialized rentals going on, too. I've already written about all sorts of things you can rent — everything from cake pans to camera lenses — but I've found even interesting rentals recently. If you're anywhere near Ware, England, take a look at Vintage Allsorts, where you can rent "beautiful vintage crockery" for your party or event. 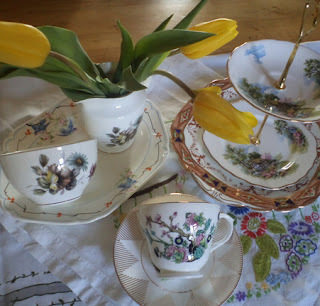 As the owner says: "My ever expanding collection of mismatched china and glass, personally sourced from my love of all things vintage, includes teacups & saucers, teapots, cake stands, sugar bowls and lots more; everything you need for a touch of elegance and glamour." 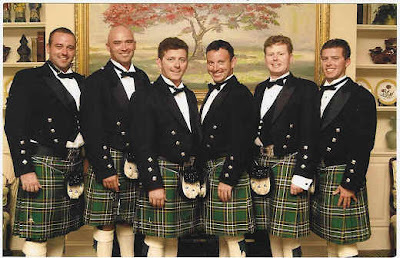 And while we've talked before about renting maternity clothes and baby clothes, and even wedding gowns, I just now found there's a company in Colorado that will rent you a kilt. 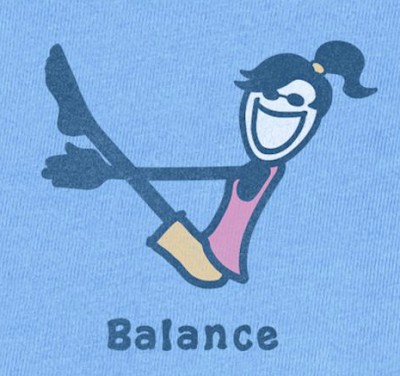 Work/life balance has been in the news a lot recently. I don't want to weigh in on whether or not Marissa Mayer made the right decision in ending work-at-home arrangements for Yahoo employees, for now; it's a complicated situation, and I can see both sides of the argument. Nor do I want to address whether Sheryl Sandberg's book is good; I haven't read it, so I can't have any worthwhile opinion. Rather, I'd like to point you to some of the more interesting commentary that's come out of the discussion of these two news items. These are all brief excerpts; you may want to go read the full articles/blog posts. Trunk also has a second post — this one focused on Sandberg — where she talks about the 100-hour workweeks she used to put in. Every woman I know who feels like she “has it all” — and there are many — has done it in a unique way. I wonder if there isn’t room for a more expansive definition of female professional success. So many of the women I know are blending work and family in ways our mothers and grandmothers never dreamed possible. This seems to me worth celebrating, not sniffing at. Work-Life Balance: Is It Time for a New Concept? Have Trouble Staying On Task? 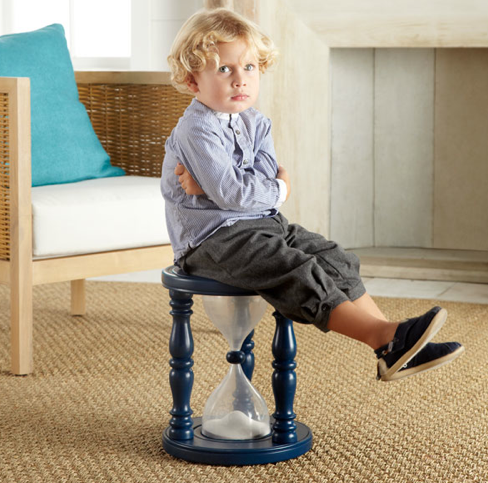 Try Using a Timer! 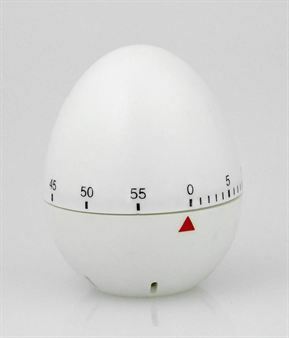 I use a timer when writing to keep me from wandering around the web. 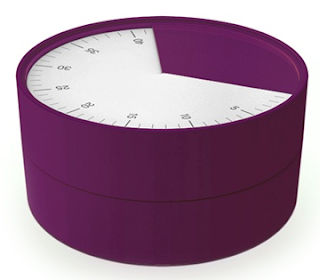 I use a timer when doing chores around the house to see how much I can accomplish in a set amount of time. I use a timer when practicing the piano to make sure I get a good 30 minutes in every day. I use a timer when I’m at the gym, running on the treadmill. I also use a timer when I’m goofing off during work hours, to make sure I’m merely taking a break from my work and not wasting an entire afternoon. If you don't want to use your smart phone as a timer, you have lots of other interesting choices. 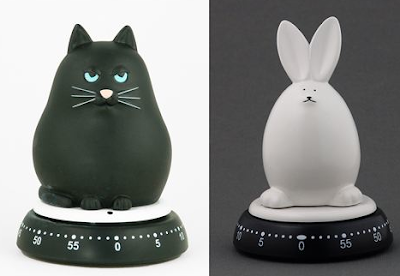 Bengt Ek makes the egg timer shown at the top of this post — but also a cat timer, a rabbit timer, a Moomin timer and more. (Fans of the Moomin books by Tove Jansson will love this last one.) 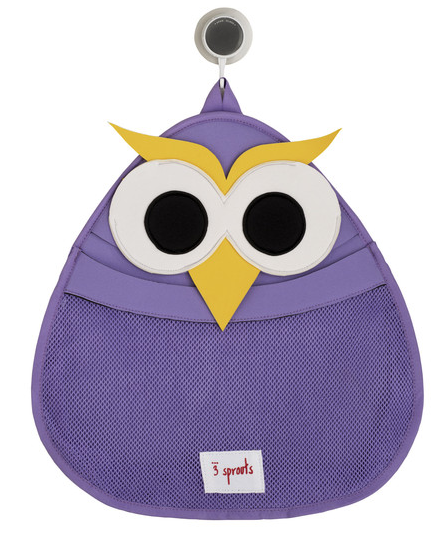 You can find these all at Scandinavian Design Center, and various other places on the web. 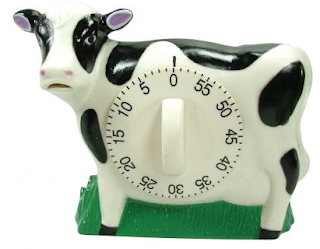 While we're on animals, I want to share this cow timer — which didn't do much for me until I read that it moos when the time is up. 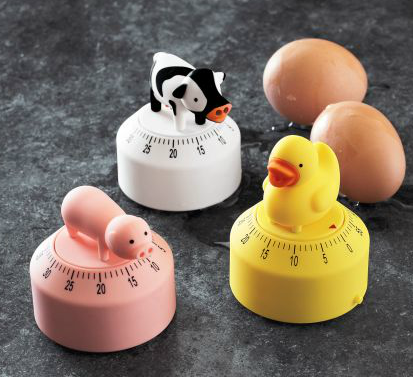 And Kikkerland also makes a cow timer ― as well as a pig and a duck. They all make their respective animal sounds. One place that sells all three is Sur La Table. Update on March 23, 2014: This seems to be a discontinued product, and Sur La Table no longer carries it. For a stylish timer that's not an animal, take a look at the Pie Timer from Joseph Joseph, which comes in four colors. The company also has a Clip Timer, with a clip to attach to an apron or other clothing, a cord to hang around your neck, and a magnet to attach to a refrigerator or other magnetic surface. 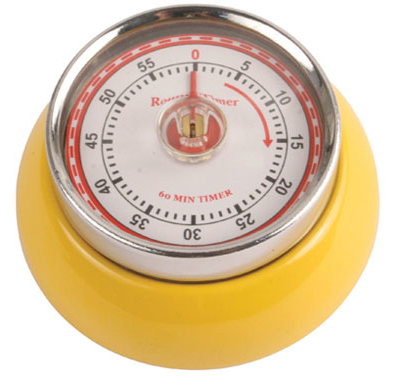 Another magnetic timer is this retro-looking one. 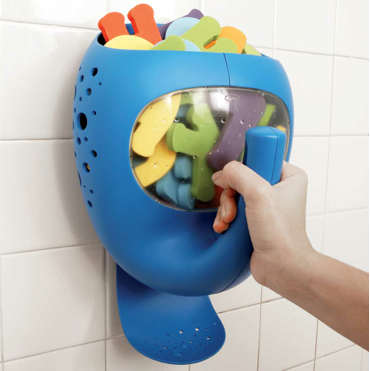 In the U.S., you can get it from Kikkerland, in various colors. In the U.K., what seems to be the same product is sold under the Dulton name; you can find it here, here and here. You can also find this timer in Australia under the Dulton brand name. 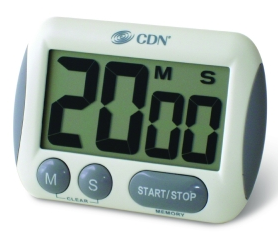 If you don't care about fanciful or stylish, and just want a good solid timer that's easy to use and easy to read, take a look at the Extra Big Digit Timer from CDN. It's what chef and cookbook author David Lebovitz is using, and he's quite happy with it. No, this turtle has nothing to do with organizing. 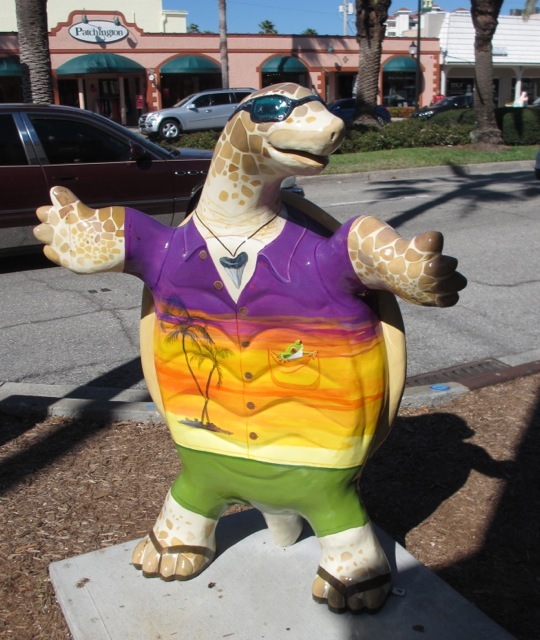 But I'm just back from a short vacation in Florida, visiting family and an old friend — and this was one of the many painted turtles and dolphins in Venice, FL. They're on display until Spring 2014 — then they'll be auctioned off. But even on vacation, I can't help having an organizer's eye, and noticing products that provide interesting options for containerizing. 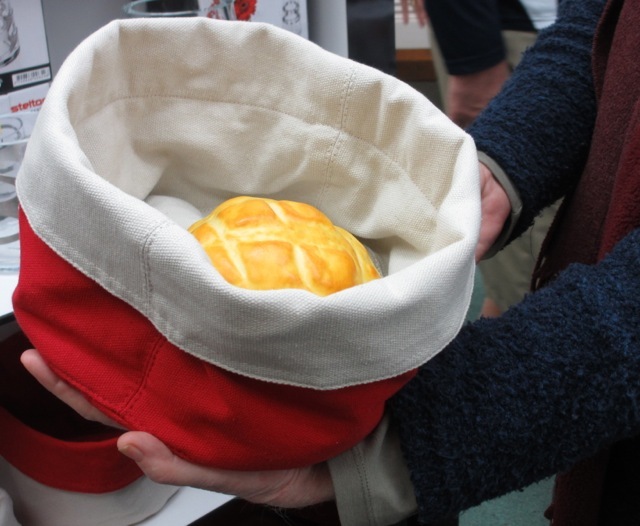 So when my friend and I wandered into The Tabletop and saw this neoprene bowl, I pulled out my camera (after getting the shop's OK to take photos). 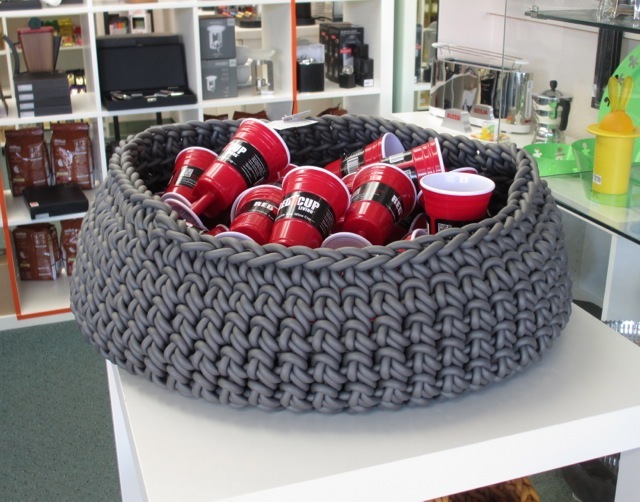 The bowl is hand-knit in Italy, and the baskets come in various sizes — but it's the largest one that really caught my eye. 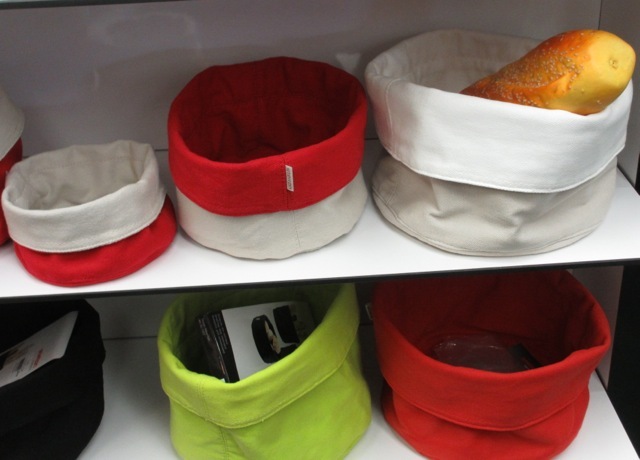 Now that I'm looking, I'm finding neoprene baskets on the web — but usually in smaller sizes than this one. And I also noted these bread bags by Stelton, which could certainly be used for more than just bread. They come in various colors and sizes. 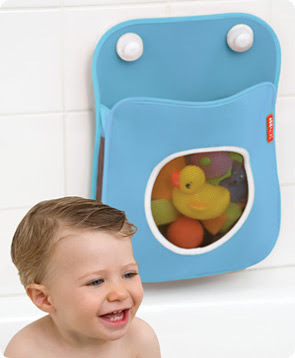 And the Tubby bath toy organizer from Skip Hop is another interesting option.